Planning to buy the new Apple Watch Series 3? Here’s an in-depth review video for Aluminum Gold, Gray Ceramic and Space Gray models. The Apple Watch Series 3 is already out in the market. The base price for 38mm Apple Watch Series 3 GPS starts from $329 while GPS + CELLULAR costs $399. While the 42mm Apple Watch Series 3 GPS costs $359 while GPS + CELLULAR priced $429. Here’s a thorough review video courtesy of DetroitBORG. Meanwhile, a cellular LTE connectivity issue has been discovered in the new Apple Watch Series 3. This issue was confirmed by Apple. 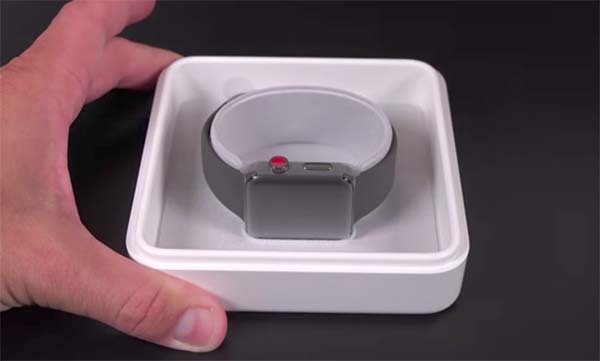 “We have discovered that when Apple Watch Series 3 joins unauthenticated Wi-Fi networks without connectivity, it may at times prevent the watch from using cellular. We are investigating a fix for a future software release,” said Apple. Apple promise to release an update to resolve the issue.